Here are our predictions, previews and other notes regarding each team in the 2018 NBA playoffs. Spoiler? We think the Houston Rockets will win the championship. Philadelphia 76ers – As impressive as their season has been; as impressive as their winning streak late in the year has been; without Joel Embiid, this team might not be good enough to make it out of the first round, especially against the Heat. Ben Simmons, with or without the ROY award, won’t be the only one with expectations on his shoulders, but there’s not a whole lot of experience to lean on. Despite the home court advantage, this might be a first round exit for Philly. Milwaukee Bucks – Life is good after Jason Kidd for the Bucks, and especially because they’re playing a very injured Boston Celtics team. This is a chance for Giannis Antetokounmpo to reach the conference semi final for the first time in his career, and show that his progress as an NBA player is in more than just his impressive numbers. 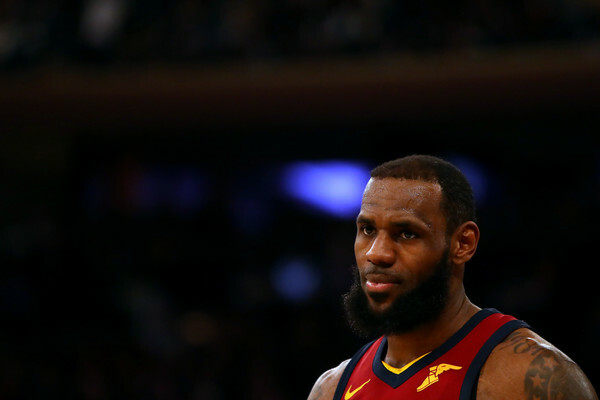 Cleveland Cavaliers – Is LeBron James going to be in the NBA finals for the 8th straight season? He’ll have to play through two series (probably) without home court advantage. While he is playing like an MVP (when has he not actually? ), going through all that and still making the finals with the teammates he has? Too much, even for him. It’ll stop in the conference semifinals. Boston Celtics – A season of what could have been. Without Gordon Hayward but with Kyrie Irving they still looked like one of the two best teams in the East. But without Irving? Making the series against the Bucks a close one will probably be an impressive achievement. Miami Heat – The Heat are in the playoffs again, playing a sort of small ball that works well for them, although Hassan Whiteside, not too long ago a pillar for the franchise’s next step, isn’t happy about his diminishing role. Dwyane Wade playing happily off the bench is a huge bonus against an inexperienced team they’re facing in the first round, alongside Goran Dragic, who is the one pulling this wagon, possibly into the conference semi final, and maybe even further than that. Utah Jazz – While the Jazz are more than Donovan Mitchell and Rudy Gobert, it’ll probably be how high the ceiling for both these guy’s performance that will determine how far the Jazz go in the playoffs. We’re projecting they win the first round series. Maybe even two. Indiana Pacers – One of those teams no one expected to be here, but Victor Oladipo has turned out into an NBA All-Star when he’s not in depressing Orlando or next the consuming Russell Westbrook. They might not have enough experience to take down LeBron James just yet, but just making the playoffs shows the Pacers made the right decision in the offseason, and probably won’t have to enter a painful, murky rebuilding phase. 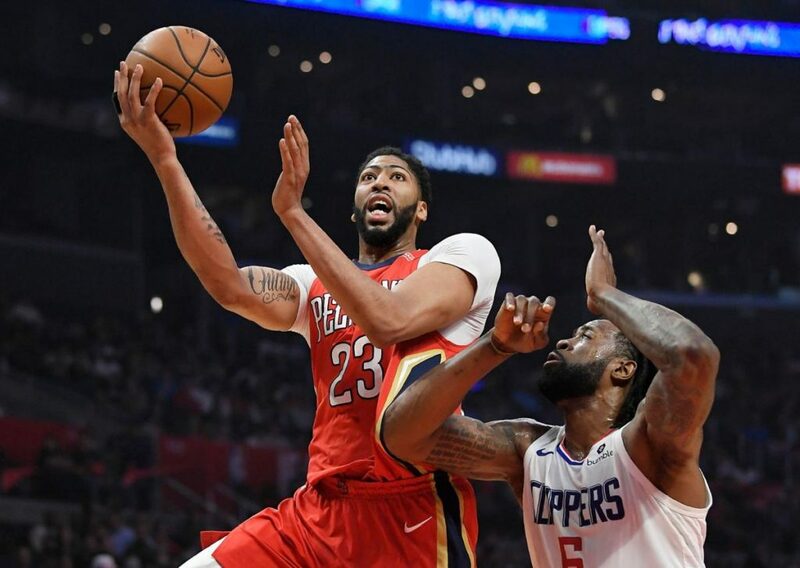 New Orleans Pelicans – The Pelicans making the playoffs is probably a big step towards convincing Anthony Davis that there’s a few things worth staying for in New Orleans. However, the first round against the fast-gunning guard combo of the Portland Trail Blazers could prove to be a bit much for a team relying on Rajon Rondo and E’Twaun Moore, among others. Toronto Raptors – After finishing with the best record in the East and pretty much rewriting the franchise record books in recent years, anything but making the NBA finals for the first time will be a massive disappointment. Yes, LeBron James and Co. are lurking along the way, but if the Raptors can’t beat that ragtag group this season, with their depth and experience, they never will without hitting a minor restart button. 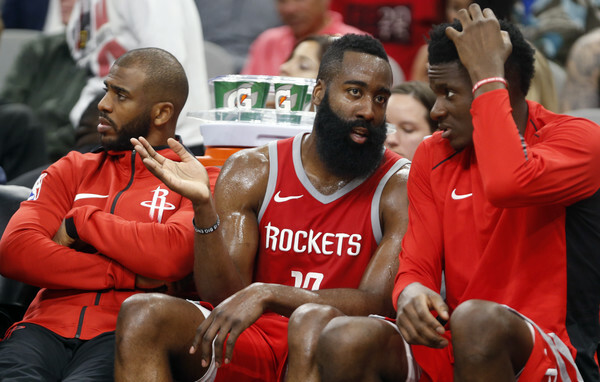 Houston Rockets – Right now? The favorites to win the league, as long as Curry is not 100%. Will they? Chris Paul has never been to the conference finals, but he’s never been on a team this talented, with a player like James Harden. Anything besides making the finals will be disappointing. San Antonio Spurs – For once, there’s pretty much zero pressure on the Spurs heading into this playoff to do well. They got the short end of the stick by seeding at 7, which means playing against the Golden State Warriors. Kawhi Leonard isn’t likely to play (maybe ever again for the Spurs), and it’s basically a random (and highly trained) group of guys surrounding a happy LaMarcus Aldridge, who feels kinda like Portland again. Maybe against a different team there would be expectations to go all the way, but this year. Oklahoma City Thunder – A few things will determine if this Thunder season ends very early or becomes the first time this team goes past the first round without Durant. 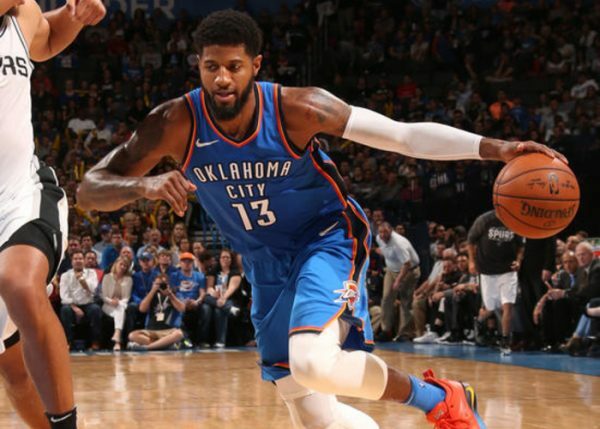 Their defense has to stay focused, Paul George needs to play like the superstar he thinks he is, and someone has to limit Carmelo Anthony to shots, minutes and everything in between, unless he can be convinced that he’s never going to be LeBron James. Minnesota Timberwolves – Falling from grace and almost out of the playoffs means the Timberwolves will probably lose in four or five games against the Houston Rockets, even with Jimmy Butler. But more worrying has been Tom Thibodeau’s inability to change his ways, riding his starting five or the wrong lineups, almost into the ground. Portland Trail Blazers – What more can be said about the Blazers, who embraced the departure of LaMarcus Aldridge a few years ago to hone a style that’s not supposed to thrive in the NBA. But Damian Lillard is a superstar, C.J. McCollum is just below that, and with an assisting crew that includes a terrific Jusuf Nurkic, it just might be enough for another conference semi finals appearance. Golden State Warriors – Nothing new here, although the situation does resemble the 2016 playoffs. Stephen Curry is injured to a certain degree. Was the Warriors’ clunkiness down the stretch just a matter of coasting, or are there problems in the potential-dynasty? More than ever, this is Kevin Durant’s opportunity to carve a place for himself in the wall of truly greats, perhaps this time taking the most talented team in basketball all the way without Curry by his side (not that Draymond Green and Klay Thompson are nobodies). Washington Wizards – This wasn’t a very good season for the Wizards, with John Wall missing half the season and the team finishing only four games above .500. Their first rivals, the Toronto Raptors, seem to be too much for them, although playoff clashes in the past have proved to be quite close between these two teams. Bradley Beal had a great season, Otto Porter Jr. and Kelly Oubre Jr. can both claim a place at the table, but this will probably be a first round exit, and a feeling of a wasted season for Washington.